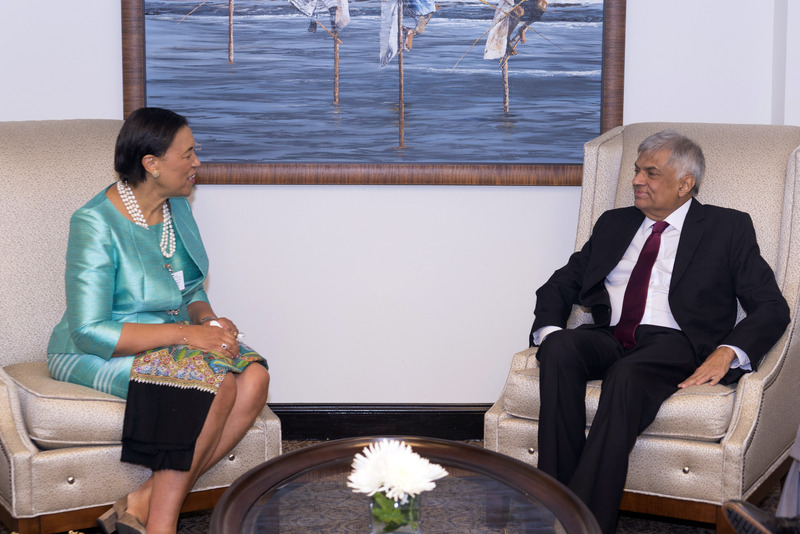 Commonwealth Secretary General Patricia Scotland held discussions with Prime Minister Ranil Wickramasinghe today at the United Nations Permanent Representative Office in New York. 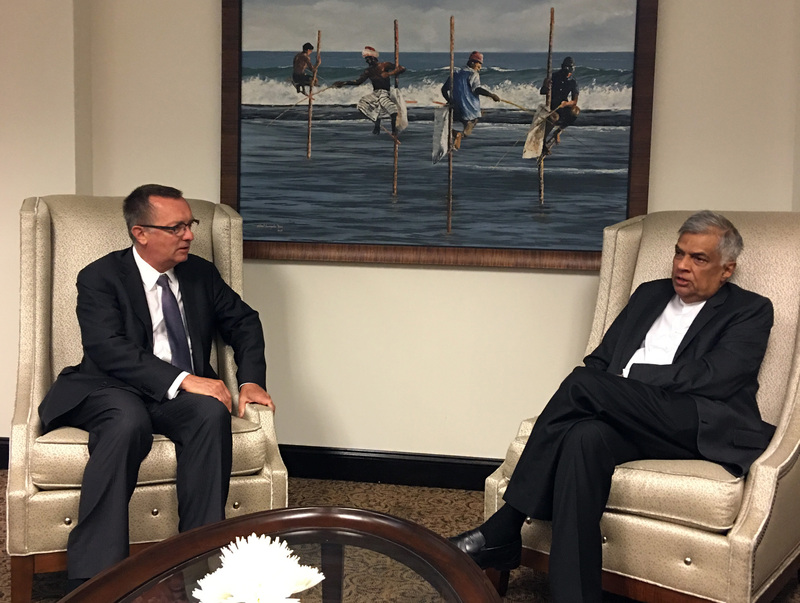 At the meeting, the Premier and the Commonwealth Secretary General discussed ties between Commonwealth Countries and Sri Lanka and bilateral relationships at a deeper extent. Prime Minister Wickramasinghe also invited Commonwealth Secretary General Patricia Scotland to pay a state visit to Sri Lanka. Deputy Secretary-General of the Economic and Social Development Deodat Maharaj, Commonwealth Legal Adviser Rosemarie Cadogan too participated. Furthermore, discussions between United Nations Under-Secretary-General for Political Affairs, Jeff Feltman and the Premier were held yesterday at the UN Permanent Representative Office. Sri Lanka’s constitutional reforms and factors affecting reconciliations were deeply discussed at the meeting. Asia and Pacific Division Director Subinay Nandy also participated. Prime Minister Ranil Wickremesinghe left to New York, USA to attend the United Nations Ocean on June 5 to discuss on the use of ocean resources for sustainable development and management protection and conservation of ocean and maritime environment factors.